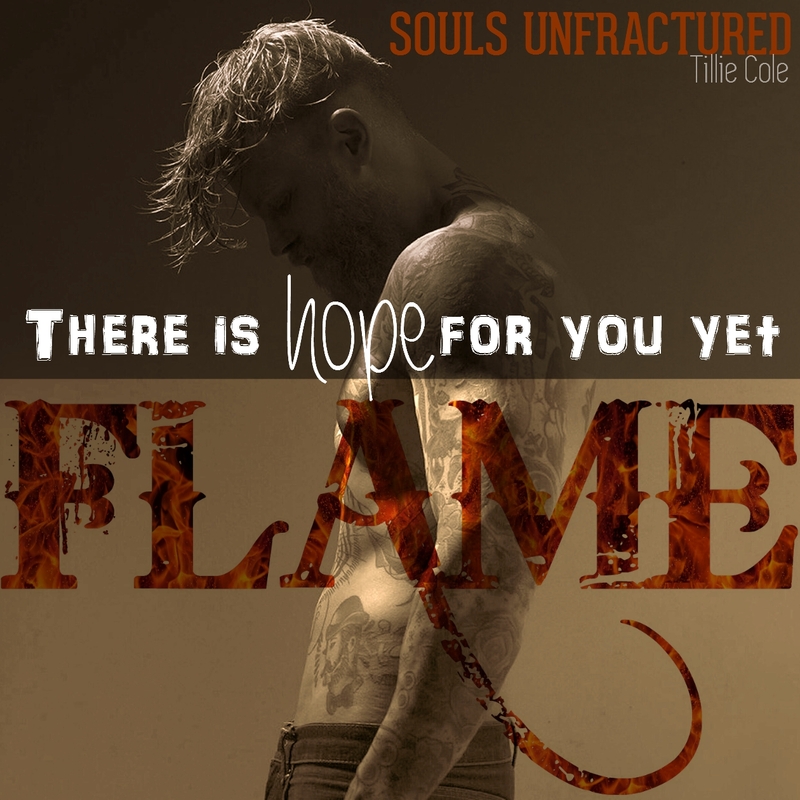 I honestly don’t know where to start, this book was one hell of an intense read and I am in awe of how Tillie Cole has written a story so emotionally deep and heartbreaking, and at the same time made us fall in love with these broken characters who end up becoming such a strong and unbreakable couple. Flame is different from most people, throughout the series we have seen how he self harms and how he finds it hard to relate to others. He is intimidating and unpredictable but when he meets young Maddie, he becomes something else, protective. Maddie is the youngest of the sisters, and also the most broken. From the age of six she was abused by the elders within the order and subjected to the most awful crimes. However, she is strong and it is her who is the one to finally calm the flames that live inside of Flame. Flame’s story is absolutely devastating and quite hard to read at times, but he turned out to be one of the sweetest hero’s that I have ever read. His feelings for Maddie are so wonderfully pure that you can’t help but swoon and smile when he fights his awkwardness and speaks of his feelings towards her. Then I bounced my fist over my heart. Amongst the dark themes of this book, there is a beautiful love story and the love is not limited to Flame and Maddie, but also within the brotherhood. AK and Viking really shone through for me in this book, they love him just as strongly. Also, we had a few chapters from Rider’s/Prophet Cain’s POV and let me tell you that his book is going to be a hell of a ride, The redemption has begun! So, if you are a fully fledged fan of this series, there is no doubt you will love this one. It was pretty close to perfect and although the subject matter was truly gruesome, it was necessary to go there in order for us to really feel the pain that Flame and Maddie went though to become the adults they were today. Bravo Tillie, this series is turning out to be an Epic one. Told in dual POV, this is the third book in the Hades Hangmen series.